In the 21 years since Warp Records released its Artificial Intelligence compilation and presented Autechre to the wider world, it’s still hard to know where the British duo of Sean Booth and Rob Brown fits into the wider spectrum of modern electronic music. Are they the pioneers of rhythm-heavy, slightly minimal, yet danceable, techno of the sort that’s made Germany’s current scene so exciting, or are they experimental glitch artists operating in the same zone as Ryoji Ikeda or alva noto? Or are they both? Their aesthetic is clean and slightly forbidding, yet their hip-hop and b-boy heritage constantly crops up in their music, notably on the sprawling two discs of Exai, their 11th album. With a hefty running time of about two hours, dissecting Exai is a trial, and ultimately throws up more questions about what Autechre is aiming for than it does answers. If it’s tempting to look at Autechre as being just a less abrasive, British answer to Pan Sonic, all icy formalism and intellectual sound manipulation, Exai rather comfortably puts such theories to bed, because this is an album centered on rhythm. OK, so it might not be the most organic of rhythmic thrusts, instead relying on constantly flitting pads and fuzzily-treated snares, but Exai provides perhaps the most overt alliance of hip-hop micro-rhythms and industrial electronica of Booth and Brown’s career, even ahead of more cohesive overall statements like Tri Repetae. At times I’m reminded of the skeletal-yet-sweeping backing tracks that Clams Casino has provided over the years for MCs like Lil B, at others a kind of hyper-automated Detroit techno. Fresh from a performance I witnessed by Anthony “Shake” Shakir at a festival in Brussels, the connection is even more apparent … except that the rhythms on Exai are more tortuous and disjointed than anything I heard that night, from “FLeure”’s scattered, skittish breakbeats that sound like a drum machine vomiting forth every programm at once, to the loping, glitch-frazzled clangs on closer “YJY UX,” via the hypnotic, stomping post-industrial clang on “bladelores” and “nodezsh”’s echo-laden, muted, dubstep-like shuffle. The electronics are also a mix of the jarring, the propulsive and the sensuous, with blasts of glacial synths flowing in and out of graceful, liquid melodic lines. Although Autechre still revel in textures that border on the harsh, and flourishes of glitch that reiterate their position among IDM’s vanguard, there’s also a clever, unhinged playfulness running across these 17 tracks. 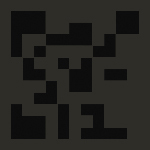 Exai might be Autechre’s most fun album in quite some time. Of course, it is two hours long, and one can’t escape that. And, for all the impressive rhythmic patterns, Exai is not an album that will have you moving much. Their consistency of vision is laudable, especially as Booth and Brown have been making music together since 1987, but I couldn’t shake the sense that I wasn’t sure I needed two full hours of Autechre, and often yearned for the more compact work of previous albums. Of course, no one needs any music, if you think about it, but Exai doesn’t feel very useful, as an entire package. Maybe a bit more editing could have given it more coherence. At the same time, there are no duff tracks, and a lot of fascinating moments — it’s just that Autechre is such a stand-offish proposition that trying to absorb them all in one or even multiple settings is borderline impossible. Even at their most playful, it seems, they keep their audience at arm’s length. So, is Exai a modern techno album, an exercise in genre cross-pollination, or a sort of Autechre album per se that takes in most facets of their craft? I’ve listened several times, and I’m not sure. Exai is worth hearing, but it will get no less mysterious the more you do. This entry was posted in 2013, Dusted, Music Reviews and tagged Autechre, Dusted, electronic, music journalism, techno. Bookmark the permalink.